Rachoni lies in the spectacular northern region of the island of Thassos. 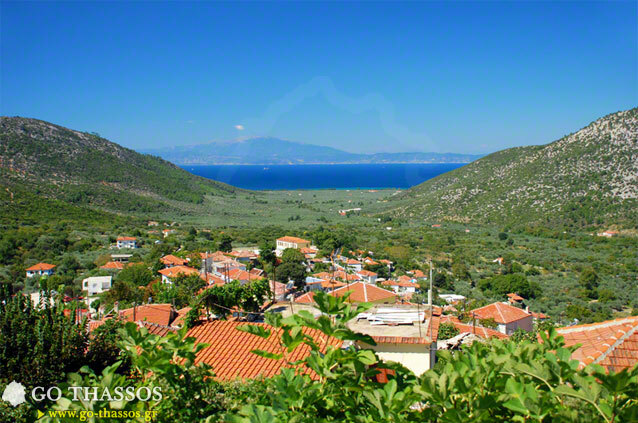 It is an agriculturally rich area, the second largest olive plain after Prinos, and consists of four settlements - two laid-back mountain villages: Rachoni and Agios Georgios, and two seaside resorts: Skala Rachoni and Pachis. 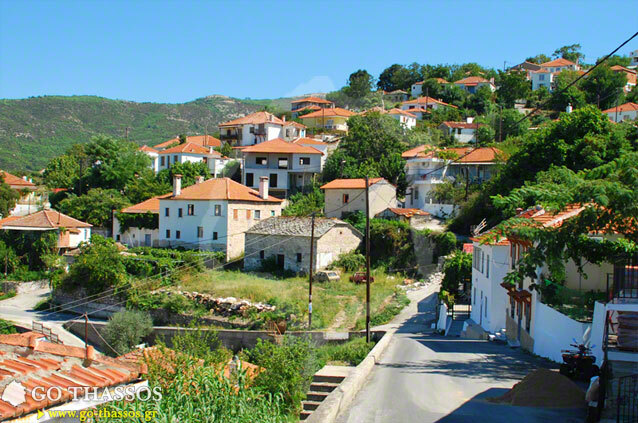 The village of Rachoni is literally perched on the edge of the mountain, giving it its name, 'the Rock Edge'. 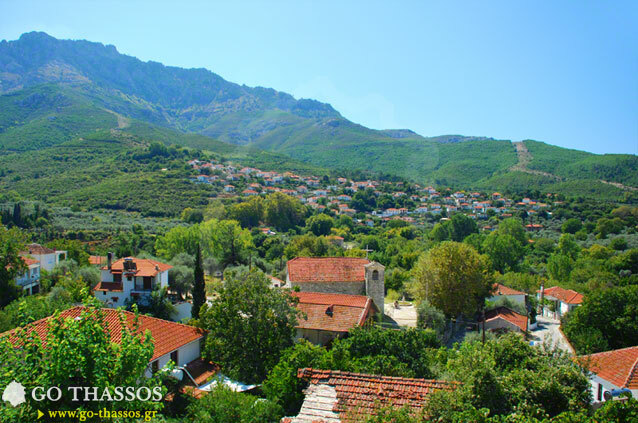 The village is surrounded by spectacular and varied flora, consisting of trees and olive trees, every kind of fruit tree, bushes and shrubs. The vegetation is dense and rich, almost engulfing the village with the wonderful scents of honeysuckle and jasmine, which can be seen in many of the surrounding courtyards, filling the area with exotic and enticing perfumes. A paved road runs around the village, starting from the Church of the Assumption, a church which is an example of 19th-century architecture with a very fine statue of the Virgin Mary to bear homage to this saint. Crowds of people gather here on August 15, the festival of Mary, to commemorate the Virgin Mary and to participate in a special folk festival in a unique village atmosphere of hospitality and warmth, which local residents create and to which visitors and strangers are all warmly welcomed. Walking up the path and at the highest point of the village, is the paved town square. Visitors should pause awhile here and enjoy a coffee or soft drink together with one of the wonderful unique local sweets, made according to traditional recipes (often handed down from generation to generation) by the women of the village and which are famous throughout the island. Those who know that the true pleasures come from the most simple things in life will certainly find their place in Rachoni, this most traditional of all mountain villages. It is no coincidence that many foreign tourists fell in love with the simplicity and tranquillity of the area, bought or built their homes here, giving new life and vigour all year round to the towns in this area which earlier had begun to be abandoned by local people. Today these residents make up the largest English-speaking community on the island and are well-integrated with the local population, exchanging their cultures, and jointly bringing new ideas and new activities to the social life of both villages. The community has a number of different interest groups which organise activities around the year, the most famous of these is be Carnival which is organised and provided by all the nationalities who live here. It fully deserves a visit! Equally, during the summer months, tourists are invited to join in all of the cultural events, which any of the local people will tell you about.